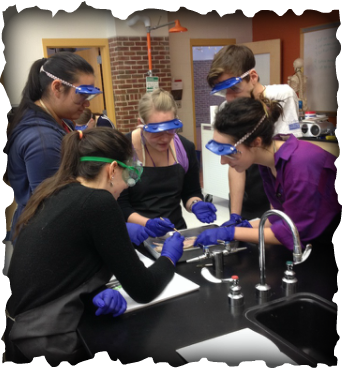 Leading a rat dissection for Advanced Biology at BUHS. 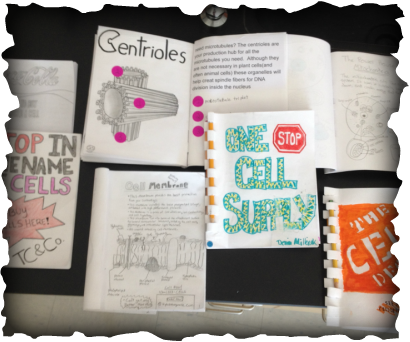 Cell catalog projects that my students completed to demonstrate their understanding of the structures and functions of organelles. Let's learn biology together! Here is my teaching portfolio that reflects problem solving and inquiry approaches to making science meaningful, relevant, and rigorous for students. I believe this is the best way to engage our students in the fun, exploratory world of being young scientists. Navigate through original lessons, field experiences, science units that I've designed, and media clips of my teaching in local high school classrooms. Explore how I can transform a didactic textbook lesson into a challenge that is engaging and playful. Consider my reflections on classroom experiences designing, planning, and teaching lessons. Discover a teacher that is ready to bring challenge, exploration, and fun to your school. 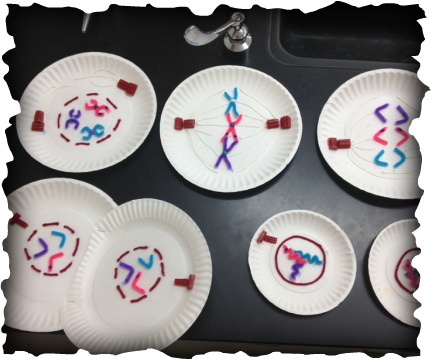 A student's exemplary project in biology class modeling the phases of mitosis.